The field intensity meter Static Control is a reasonably priced and convenient measuring instrument. Using a latching On/Off soft key and two additional soft keys for the measuring ranges 0–100 and 0–1000 kV/m, the Static Control is very simple to operate. 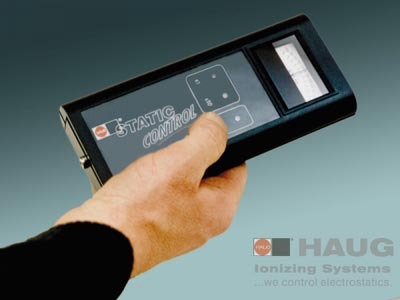 The measuring unit is battery powered and therefore independent of the mains. It should be part of the basic equipment of any electrical workshop (Order-No. : 12.7205.000).